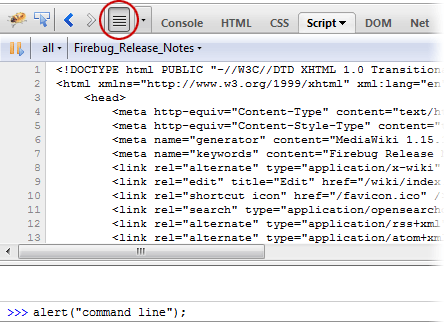 It’s no exaggeration that Firebug revolutionized client-side coding. Many applications would never have been built without it. You may now prefer Opera’s Dragonfly, the Webkit Inspector or IE’s Developer Tools, but all were influenced by Joe Hewitt’s plug-in. For me, Firebug remains the best browser development tool. Messages shown in the Console window can now be filtered by Errors, Warnings, Information and Debug output. The messages are also color-coded, i.e., red for errors and yellow for warnings. The console.table() command allows you to log tabular data to the Console window, e.g. All child and grandchild nodes can now be expanded in the HTML panel. Right-click any element and select “Expand All” (or type *). Finally, the DOCTYPE is always shown. It’s now possible to copy the whole CSS declaration for a rule or just the styles themselves. Right-click any declaration in the Style window of the HTML pane. That’s a feature I’ve wanted for some time. The styles shown in the Computed window can also be folded into Text, Background, Box Model, Layout and Other groups. Usefully, breakpoints are saved between sessions. 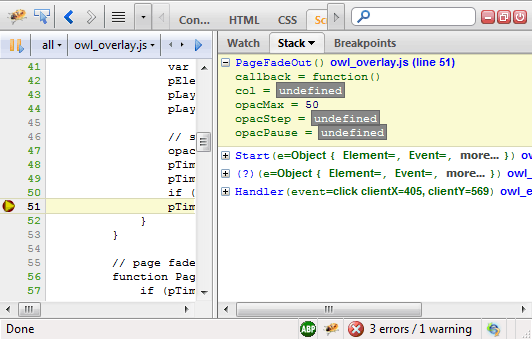 You can close Firefox, re-start the browser, and all your breakpoints are still set. If you’re using HTML5 offline storage facilities, you’ll be pleased to hear that localStorage and sessionStorage data are also displayed in the DOM panel. If those features aren’t enough, perhaps you’ll be impressed by the new icon? Still not satisfied? Why not suggest improvements for version 1.7 in the Firebug newsgroup?